This entry was posted in Children, Elderly, Families and tagged assisted living facilities, Christmas Mitzvah Project, Denver Metro-area, facilities like hospitals, hospices, Jewish volunteers, projects on October 10, 2014 by Cheryl. This entry was posted in Children, Elderly, Families, Senior Citizens and tagged coordinate a collection, eye glasses, for children and adults in need, glasses, hearing aids, mitzvah project, New Eyes, redistribute glasses in developing countries on August 4, 2014 by Cheryl. This entry was posted in Elderly, Families, Health-Related, Senior Citizens and tagged awareness, community fundraising, effective care and treatment, exercise, Moving Day, National Parkinson Foundation, stiffness, Team Hope, tremor on February 20, 2014 by Cheryl. This entry was posted in Elderly, Food, Mitzvah Project ideas, Non-Profit, Senior Citizens and tagged "breakfast bags", Cook for a Friend, drive out hunger, food packers, food sorters, home delivered meals, hunger relief, KleinLife, Mitzvah Food Pantry, soup on January 29, 2013 by Cheryl. 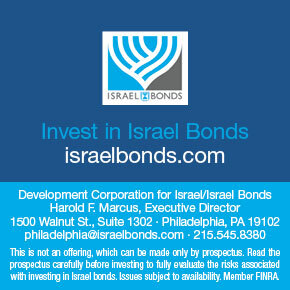 This entry was posted in Elderly, Food, Mitzvah Project ideas, Non-Profit, Religious Celebrations, Senior Citizens and tagged Delaware Valley locations, fundraise for Golden Slipper seder, fundraise for seders, help at seder, help needy families, help others celebrate Passover, help with seders for the needy, matzah drive, passover, Passover League, philanthropy, seders for thousands, serve Jewish veterans, tzedakah project on May 9, 2012 by admin. This entry was posted in Elderly, Mitzvah Project ideas, Non-Profit, Senior Citizens and tagged Doylestown, Seniors, Twilight Wish, Twilight Wish Foundation, wheelchair, wishes on May 8, 2012 by admin. Martins Run 11 Martins Run, Media, PA 19063 Contact: Vicki Connor, Volunteer Coordinator, 610 353-7660, ext. 216 As a community service project, help at a senior residential community by reading to the visually impaired, scrapbooking photos and other momentos with residents, gardening, help in the library, gather and record oral histories from residents, play wii sports with residents, friendly visits, adopt a grandparent, and much more. 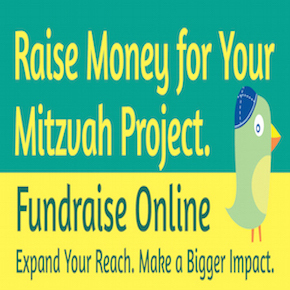 Performing this mitzvah project will help enrich the lives of a senior citizen. This entry was posted in Elderly, Mitzvah Project ideas, Non-Profit, Senior Citizens and tagged art projects, Martins Run, Media, record stories, senior citizen, spend time on May 8, 2012 by admin.